A UNEP Regional Seas Convention for the ROPME Sea Area. The Convention is the basic legal instrument binding the eight States of the Region to coordinate their activities towards protection of their common marine environment. The Convention was adopted with the objective to ensure that development projects and other human activities do not in any way cause damage to the marine environment, jeopardize its living resources or create hazards to human health. It was adopted in 1978 and entered into force in 1979. 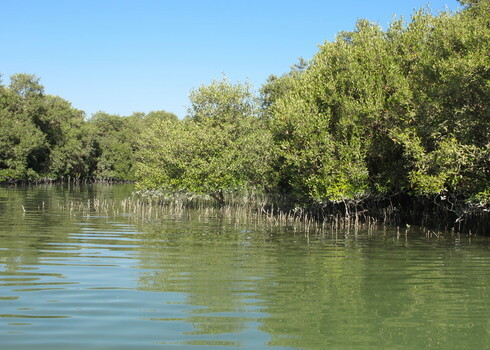 Mangroves in Abu Dhabi, United Arab Emirates. Regional Organization for the Protection of the Marine Environment (ROPME) 2013. Legal instruments.